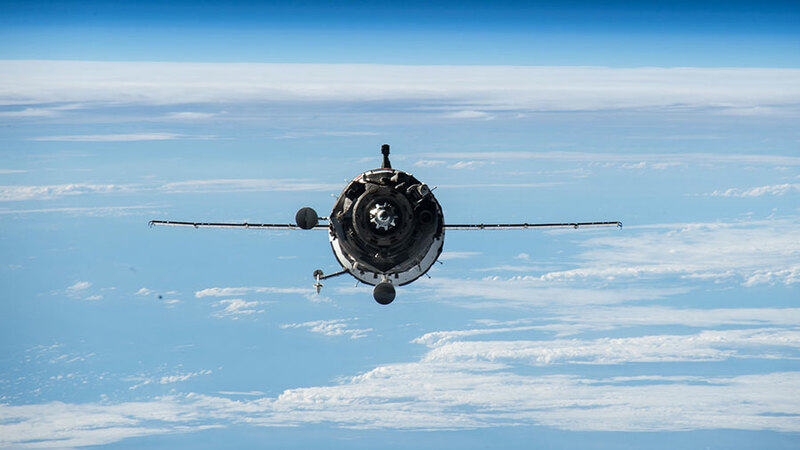 The Soyuz TMA-16M spacecraft is seen approaching the International Space Station before docking to the Poisk module on March 27, 2015. Commander Gennady Padalka will back the Soyuz TMA-16M spacecraft from its Poisk module docking port Friday morning. One-Year crew members Scott Kelly and Mikhail Kornienko will come along for the 25-minute ride and redock to the Zvezda service module port. The trio reviewed their procedures for the Soyuz relocation maneuver scheduled to begin Friday at 3:12 a.m. EDT. NASA TV will cover the activities live starting at 2:45 a.m.
Japan’s fifth “Kounotori” resupply ship is being unloaded today bringing fresh fruit, research gear and other supplies. Meanwhile, the six-member Expedition 44 crew worked numerous science experiments today studying eye health, plant growth, circadian rhythms and the risk of infection by microorganisms during a space mission.